2012 RTA Media Coverage. 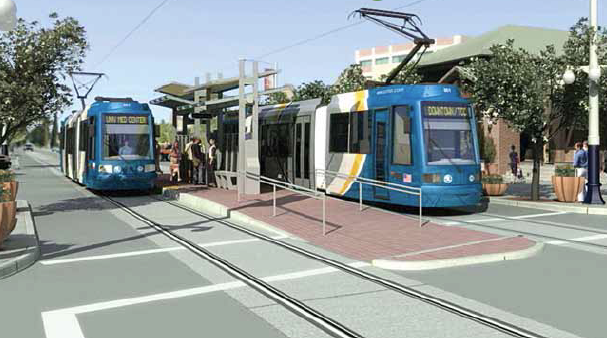 The $2.1 billion Regional Transportation Authority plan was approved by Pima County voters on May 16, 2006. You can download and view the RTA’s publicity brochure. Regional Mobility 04/2012 (PDF) It touches on its major plans from 2006 to 2026. The RTA has been under scrutiny for its over reaching scope regarding the widening of several significant planned roadways including Broadway, Grant, and 22nd St. You can view a piece of that controversy in Voters Against RTA Widening of Broadway Tucson’s modern street car, SunLINK, is an RTA transit project that has big impact on the UA, downtown and 4th Avenue, where construction will continue past mid 2013. Here is a schedule update on that. Tucson Modern Streetcar Construction Update. See also Sun LINK media coverage.